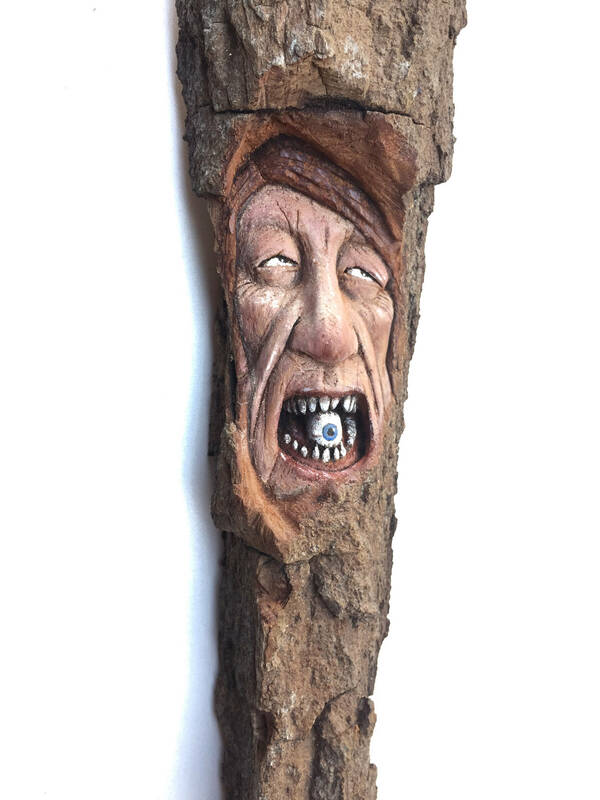 This is a wood carving of a wood spirit. This is an original sculpture, hand carved by me, Josh Carte. 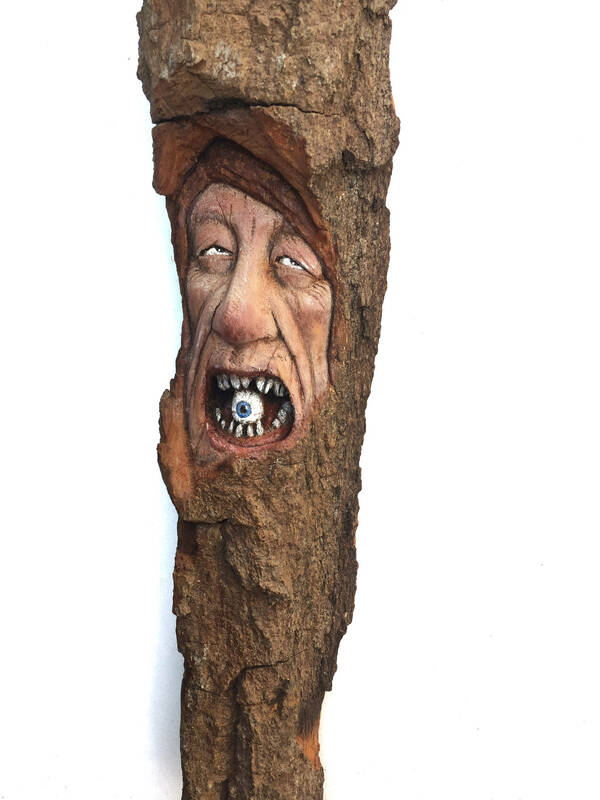 This is a sculpture in a piece of Cottonwood bark. It will make a perfect wood gift for him or her. 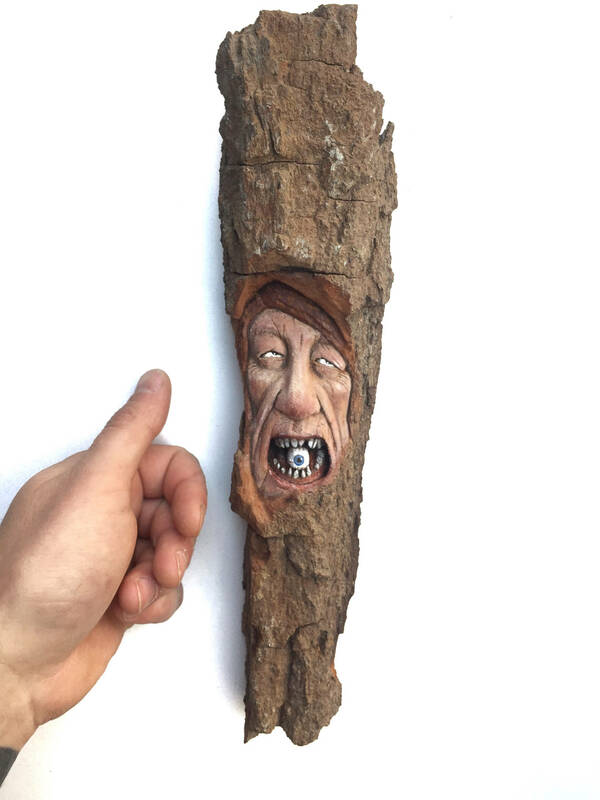 This handmade woodworking is a really unique piece of wall art. 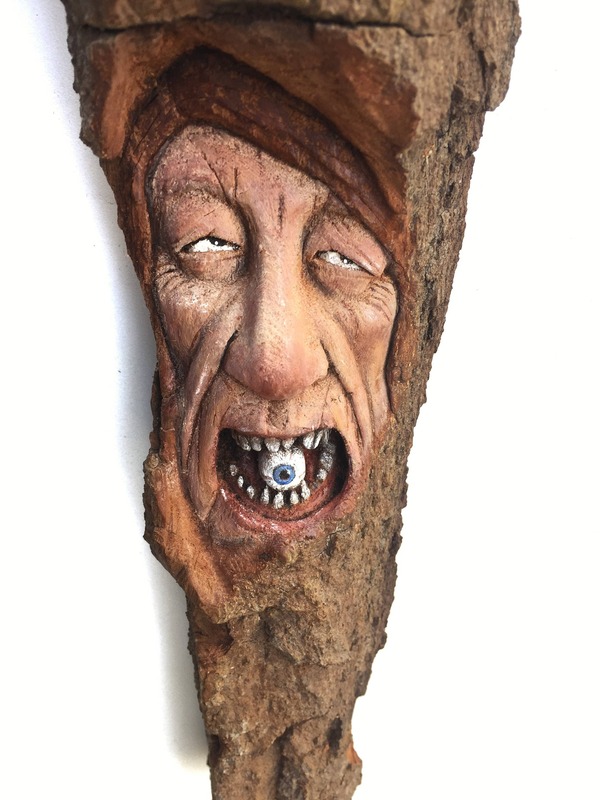 I carved this face in a piece of Cottonwood bark. 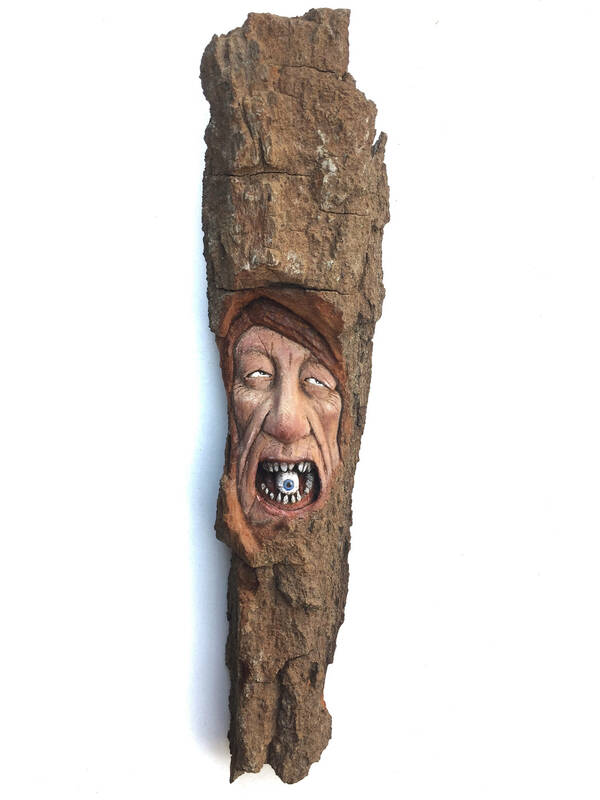 Yes, it is actually a real piece of bark from a Cottonwood tree. Cool, right?! I think so, too. Cottonwood bark is soft, so it is best to only touch the rough parts of the bark. SHIPPING IS INCLUDED in the price of the carving to the USA! Please contact me for international shipping. I have safely shipped hundreds of carvings, so you can buy with complete confidence. This sculpture measures 12 3/4" tall, 3" wide and 1 1/2" thick. I include a certificate telling a bit about myself with all of my wood spirit wood carvings! I also sign and date the back of each carving :) This carving can hang on the wall or can stand freely. Cottonwood bark is very nice in that it never changes, shifts or moves, This piece of bark will always remain stable and beautiful, so it can be passed on for generations. Everything in my shop is made by hand, by me, Josh Carte. I don't have any elves or helpers. I am in charge of the carving, packing, shipping, communication and everything else in between. I love it :) When you buy from me, you are helping a family instead of a corporation. We very much appreciate it! I try my very best to create the most original, detailed and beautiful carvings that I can. I only use very high quality materials, stains, paints and sealers. I love what I do, so I am always trying to improve! Please contact me here, at carpcuts [!at] live.com or call 740-385-4487 with any questions.